Do you go through phases with your daily routine? I do. For a time, it is incredibly productive – eager to start our day and excited to live the day, well – taking in every ounce of life and eager for the next day to do it all over again. But then, there are phases we go through where life just feels like one big messy phase. It’s chaotic, non-productive, depressing, and overwhelming. In times like that, we often just want to throw in the towel, grab a snack and sit down to watch TV.…for like a week. I like consistency and thrive on routine and schedules. So what gives? Why was this happening? When my morning routine (or the lack of one sometimes) slacks – my day slacks. If I start my day off in the middle of chaos, I am rarely able to bounce back. But when I start my day off prepared and armed with the basic tools to aid me throughout my day, it is a success! 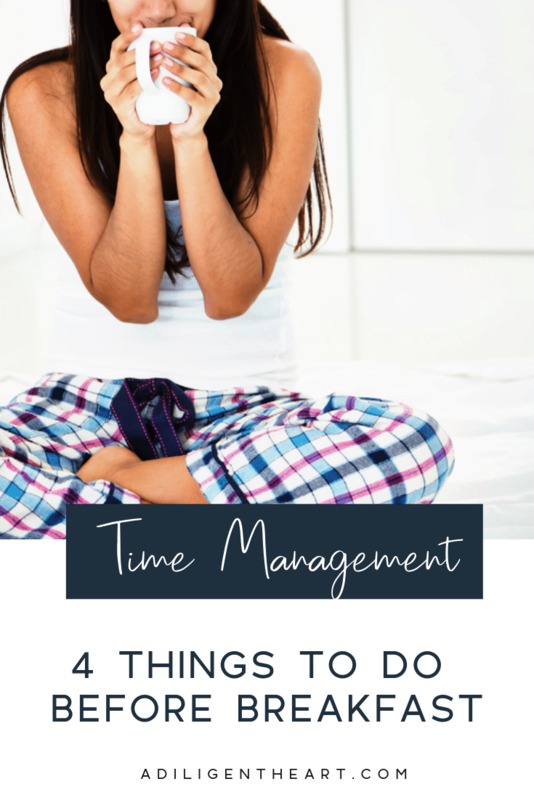 So here are four things to do before you start your day. 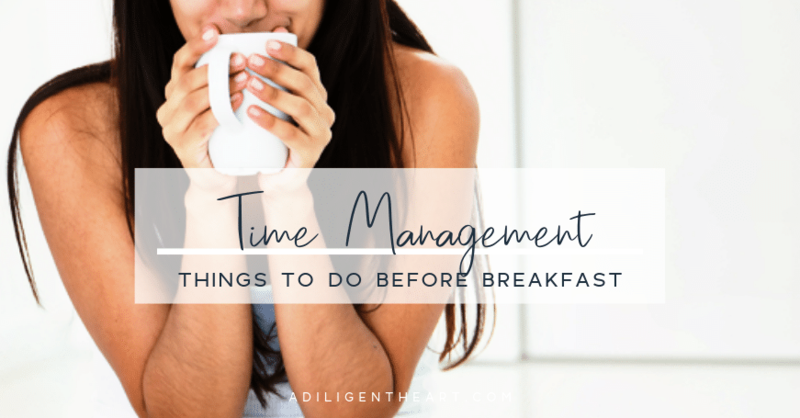 Here are 4 things I suggest doing before breakfast (maybe not before coffee though) that help me tackle my day without the stress and aid me in having a productive day! Start your day off by setting the right tone. Reading something or listening to an audio of something that is encouraging and uplifting will refresh your mind and heart for the day ahead. I like to grab a cup of coffee and sit on the balcony (when weather permits) first thing in the morning. I usually just listen to the audio version of what I have in hand, as I read along. Sometimes I just listen and others I just read – depends on the day. 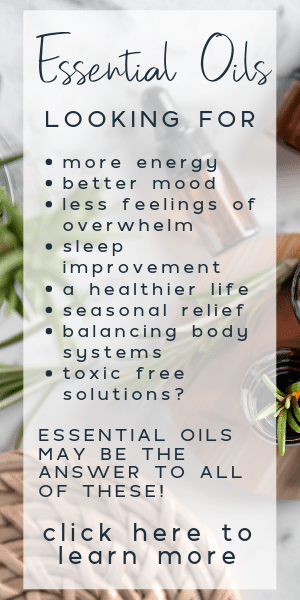 Not only will this help you deal with the stress of a normal day, but it will also give you the energy to function throughout your day. A gym membership is great, but most people hardly have time to do this. Just take some time out to do something. Go for a walk – walk 15 minues away from your house, then walk back – and boom, 30 min in! Set a time and do as many squats as you can for one minute. Repeat this until you’ve done 100 squats. (and comb your hair) Throw on some clothes before you tackle your day. After a workout, I like to hop in the shower, get dressed, and tame my hair. I may even throw on some neutral eye shawdow and mascara too if I’m feeling up to it! This is a major help. Look over your planner and jot down any must-do’s for the day. 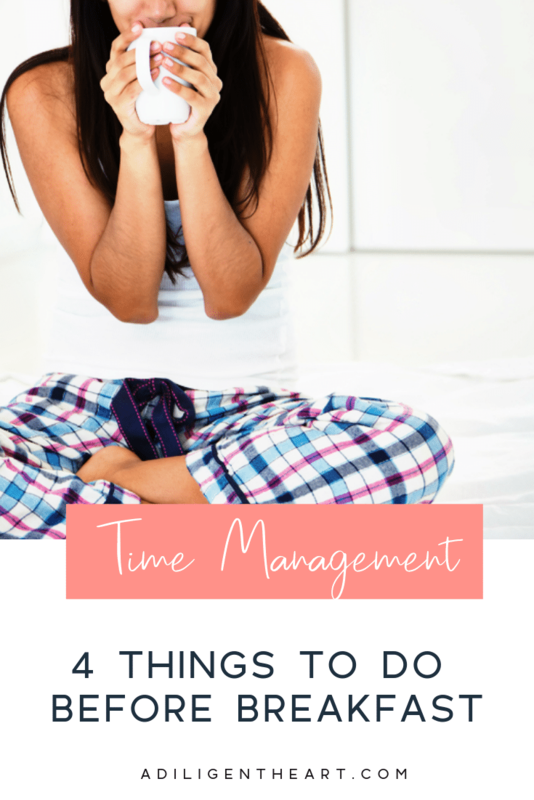 When I know I have time for everything my day demands of me, I am less prone to feeling overwhelmed with things as they come up. When you start your day out with these simple things, your day will be a success! Give it a try and let me know how it goes! Have any tips to offer? Share in the comments! How you start your day really affects how you will live your day. The mistake I often make is jumping online first thing in the morning to ‘check up’ on social media and e-mail. Talk about the WRONG way to start your day. Our bible study group just started up again this week, and I am trying to develop the self discipline to do my Bible Study first thing. Thanks for the encouraging post! #1 Drink a cup of hot water with lemon. It works wonders for your skin and detoxing. If you cant do that, drink 8 oz of water first thing in the morning to get your stiff joints and muscles lubed up for the day. it’s amazing how much water your body loses while sleeping, remember you are burning calories while at rest! #2 Talk to God (Allah, Buddha, whoever you worship) BEFORE YOU GET IN THAT CAR TO GO TO WORK! #3 Dont get on the internet PERIOD until you get to work. Seeing all that info in your face first thing is overwhelming so it will start your day overwhelming. #3 is a total yes! I can not get online first thing, or I’ll get sucked in and my day will be totally off! And I am just now getting back into the habit of putting my clothes out the night before. I love how much time it saves me in the morning! Thanks for stopping by, Amber!! great list! I like that you kept it short :) I find also that my days are chaos when I don’t have a plan. I agree with Amber, keeping off the internet totally is a game-changer in a big way. I always have a better day and am a better mom when I do a little yoga in the morning!